Drupal image is secure, up-to-date, and pre configured to work out of the box. 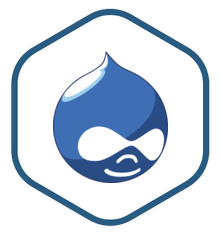 Drupal is one of the most versatile open source content management systems in the world. It is pre configured with the Ctools and Views modules, Drush and Lets Encrypt auto configuration support. Drupal is one of the most versatile and widely adopted open source Content Management Systems in the world. It is highly modular and easy to customize with thousands of available themes and modules. For content authors, Bitnami pre configures Drupal with popular plugins like Ctools, Apache Solr search, Google Analytics and Views. Bitnami also includes the Pathauto and SMTP plugins for SEO URLs and email notifications. The pre installed Drush tool makes it easy for non technical users to upgrade Drupal. For developers, Bitnami provides the latest versions of Drupal, PHP, Apache, MySQL and phpMyAdmin. It is secure by default, as all ports except HTTP, HTTPS and SSH ports are closed and DDoS prevention is enabled. HTTPS, HTTP/2, name-based vhosts with SNI and Let's Encrypt auto configuration are all supported. Bitnami certifies that our images are secure, up to date, and packaged using industry best practices. With Bitnami you can trust whats in the app you are launching. We monitor all components and libraries for vulnerabilities, outdated components, and application updates. When one is reported, we update and release every affected listing within a couple days at most. Create and edit content anywhere, with an editor similar to familiar word processing software. Content can be edited in-page through a standard browser and on the go with a mobile device. Streamline workflows with revisioning, tagging, and taxonomy. Drupal is highly modular, with thousands of themes, modules, and add-ons that make every aspect of the app customizable. For anything from mom-and-pop e-Commerce site to global corporate homepage, Drupal can be customized to fit your needs.